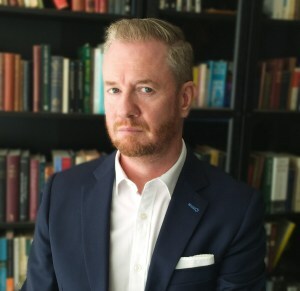 Tim O’Neill is author of the blog History for Atheists. He was interviewed for Medievally Speaking by Michael Evans, the journal’s associate editor. 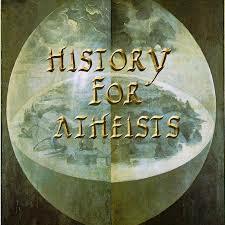 Medievally Speaking: What led you to start the “History for Atheists” blog? Tim O'Neill: I’ve been an atheist for all my adult life, so I was interested when atheism began to get media attention in the early 2000s with the emergence of the so-called “New Atheists” like Dawkins and Hitchens. I noticed a large number of blogs and online fora springing up devoted to atheism and to the anti-religious ideology of the New Atheists. As I began reading some of these regularly I noticed some recurring themes in discussions on them. There were some historical ideas that kept being presented as fact – that Christianity “caused the Dark Ages”, that the medieval Church “suppressed science”, that Christians “burned down the Great Library of Alexandria” and that Christian persecution of various scientists (Hypatia, Giordano Bruno and Galileo being the usual examples invoked) “set back progress” by hundreds of years and so on. I found that most of the more enthusiastic proponents of these ideas came from backgrounds in science and had little to no history education past high school level. These were simply tropes they had picked up from popular culture and accepted as fact. So I began to contribute to these online to show why these ideas were simplistic or just plain wrong. Eventually I got tired of repeating myself, since the same claims kept coming up over and over, so I decided to start a blog where I could address these myths and misconceptions about history in detailed articles and so only have to do so once. 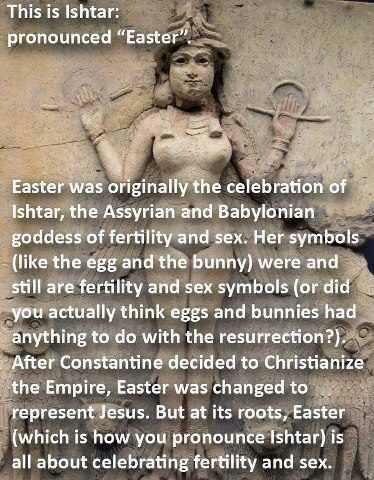 History for Atheists was the result. Could you tell us about your background in medieval studies? Did it influence your decision to engage with New Atheist myths about the past? I have studied the Middle Ages since my teens but did so formally at university by studying history as an undergraduate and then Medieval English Literature in for my post-graduate specialisation. I’ve always straddled history and literature, given that I took a “New Historicist” approach to the study of late fourteenth century Middle English poetry for my Masters thesis. My study of medieval history has been fairly wide-ranging, with particular interest in the early Germanic peoples, the fall of the Western Empire, the survival and revival of ancient learning in the west and the history of science and intellectual history generally. But I have also dabbled in everything from learning medieval sword fencing techniques, the use of astrolabes and experimented with scribal arts and book production. I suppose the fact that I have a fairly in-depth appreciation of the real Middle Ages made the high school level clichés many of my fellow atheists were depending on more annoying. Some of them rather liked the clichés and resisted my corrections, but many others (thankfully) have been happy to learn real history rather than clinging to myths. A lot of the topics you address are relevant to medievalists, such as the myth of the destruction of classical learning by the medieval church. Do you see the denigration of the Middle Ages as central to New Atheist thinking? It certainly seems so. By “New Atheists” I am referring to the strain of atheism that is not simply without any belief in God or gods, but which is also actively anti-religious and anti-theist. Many of these people assume and depend on a Whiggish conception of history as a matter of inevitable “progress” which is pushed forward by science and held back religion. They accept the nineteenth century “Draper-White Thesis” of an eternal warfare between science and religion without question and regard its rejection by modern historians as some kind of incomprehensible “revisionism”. In this view, history is divided into “good” eras and “bad” ones. The good ones are where science and reason were upheld and advanced and the bad ones are where they were denied and suppressed. In this view, the Greeks and Romans are romanticized as noble, wise, rational, scientific and tolerant (despite them often being none of these things) and we post-Enlightenment moderns are seen as their intellectual and cultural heirs. All fairy tales like this need a villain, so in this one it is the Medieval Catholic Church, which destroyed Greco-Roman learning, suppressed science and dragged us all into a “dark age”. Denial and refutation of any of this is often met with highly emotional responses by these people, since this fiction is foundational to their whole world view. This is why I get so much hate mail and online abuse. Why do you think myths about the Middle Ages, the “Dark Ages,” and the history of Christianity are so tenacious? Probably because they have deep roots in western culture, particularly in the Anglosphere. A lot of the ideas I’ve just outlined are not necessarily anti-theistic or even wholly anti-Christian in origin. They are specifically anti-Catholic. Since the English-speaking world has, knowingly or not, inherited a substantially Protestant cultural heritage, much of our popular culture’s ideas about the Middle Ages – a filthy, backward, dark age ruled over by corrupt theocrats – have their origins in sectarian polemic. This is why many elements of the myths about the Middle Ages – witch crazes, constant plagues, scientists being suppressed – are actually much later phenomena dating to the time of the Early Modern Period’s sectarian squabbling, but projected back onto the Middle Ages. Then there is the strong influence of eighteenth and nineteenth century “free thinkers” on many popular ideas about the period. A distorted version of the Medieval Period was a whipping boy of anti-clerical and Deistic thinkers and writers in the Enlightenment and their Whiggish successors. So I am constantly tracing back erroneous ideas about the Middle Ages and finding them first argued by Gibbon, or Voltaire or nineteenth century polemicists like Robert Green Ingersoll or John William Draper and Andrew Dickson White. Finally, we have the more modern phenomenon of people getting their ideas about history from intellectual celebrities. So, celebrity scientists like Carl Sagan, Stephen Hawking and Neil deGrasse Tyson – all of whom are very learned in their relevant scientific fields – make pronouncements on history which demonstrate they have no grasp of that field, but which are taken as gospel by those who trust their authority. All these things make the myths about the Medieval period deep rooted in popular culture and so any refutation of them simply “feels wrong”, even before we get to the fact that those who accept them often have an ideological and emotional need for the myths to be true. This makes dislodging them difficult. Has social media culture made matters worse? 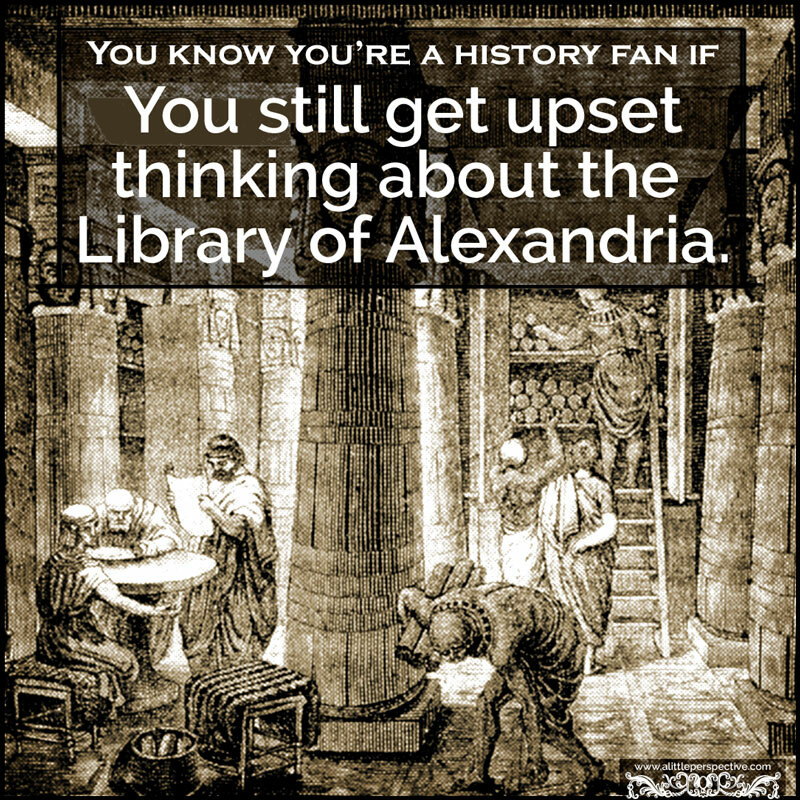 I’m thinking, for example, of those memes I keep seeing about the loss of the Library of Alexandria, or about Easter being named after the goddess Ishtar. It’s hard to tell if this makes the problem worse or it just makes it more obvious to the rest of us. I’m fairly sure these ideas were widespread before the internet. Perhaps they spread more rapidly now. What can medievalists (and historians and scholars of the past generally) do to better engage with the public to challenge misconceptions about history? I find that while some people, as I’ve mentioned, have emotional biases and ideological commitments that make dislodging these myths difficult, others are open to changing their minds. The “Mythbusters” approach, where the myth is presented and then the alternative is laid out with reference to evidence-based arguments, is actually very persuasive for many people. People who aren’t tied to an ideological need to believe something often like being able to tell their friends “actually, that stuff about the Medieval Church killing all the cats and causing the Black Death is not true”. Most of the myths about the Middle Ages in popular culture are based on nineteenth century understandings of the period. But the real study of the Medieval Period did not really get underway until the twentieth century. So popular culture is lagging behind scholarship by about a century. This means things like the realization that Medieval people did not, actually, think the earth was flat are only just beginning to permeate the popular sphere – I had a friend inform me of this the other day as though it was an amazing new discovery that I would be interested in. But people tend to get their understandings of history from novels and movies and until the producers of those start doing their homework better we will be stuck with the clichés and fairy tales. No, because the fact that we can’t “prove” what happened in the past the way a scientist can prove something in physics doesn’t mean we can’t make an evidence-based argument to the best explanation. I can’t definitively “prove” that there was no vast massacre of cats that caused the Black Death, but I can show there is no evidence this happened, that medieval people liked and kept cats and did so partially because they controlled rodents and show how the “cat massacre” myth arose fairly recently. That’s debunking a piece of bad history and is usually suitably persuasive. Medievally Speaking is devoted to the study of medievalism – the post-medieval reception of the Middle Ages. In the words of the sub-header, the blog “Encourag[es] Critical Engagement with the Continuing Process of Inventing the Middle Ages.” As a “medievalismist,” I sometimes find myself having to set aside my frustration at “wrong” history in – say – a film or novel to analyze it as a work of engagement with the medieval. Do you think it is possible to do this with the “bad history” that you encounter? Or is “bad history” always a problem that needs to be challenged? It depends. I sat and watched A Knight’s Tale the other day and enjoyed it immensely. As an accurate depiction of the Middle Ages it’s … well, it just isn’t one. But as a fun response to and, as you say, engagement with the period through a self-knowing and rather wry lens, it’s a great movie. But the difference is that movies like this or, on a less knowing and deliberate level, something like Kingdom of Heaven, is the New Atheist ideologues I deal with are not “engaging with the Middle Ages”. They are fighting a culture war and using a distortion of the Middle Ages, presented as FACT, to do it. I’m actually not very interested in their culture war, but distortions of the past for ideological reasons tend to be dangerous, regardless of whether it is the Alt-Right or the New Atheists who are doing it. In what future directions do you see your work taking you? Various people have been urging me to write a book, so some of my blog articles are now being written with one eye on working them up into chapters. 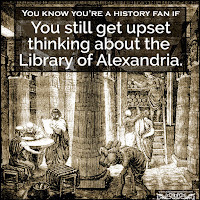 In the meantime, there are still very big topics for me to tackle, as I have yet to write articles on the myths surrounding the murder of Hypatia of Alexandria and the maelstrom of nonsense that swirls around the Galileo Affair. So I suspect I will be busy for a while yet.